Follow us on Facebook, Twitter and Instagram for latest news and updates. Just click the links at the top of the page. We will send you a maximum of one email per month with our latest news. We respect your privacy and we will not share your email address. We are committed to respecting and protecting your privacy – this includes any Personal Data we collect. We collect information about you when you sign up to our Mailing List. If you visit our website we collect information using cookies. ​Why Do We Collect & Process Personal Data? 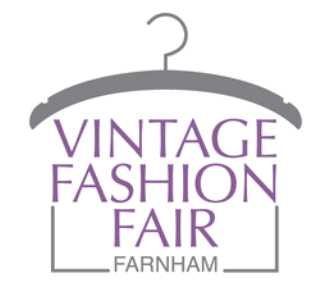 Vintage Fashion Fair Farnham will never sell any of your Personal Data. We keep your Personal Data for no longer than is reasonably necessary to comply with our obligations to you and what the law requires (for example, safeguarding children). This means we will generally need to retain your details for a maximum of 24 months after your last transaction or other recorded interaction with us.